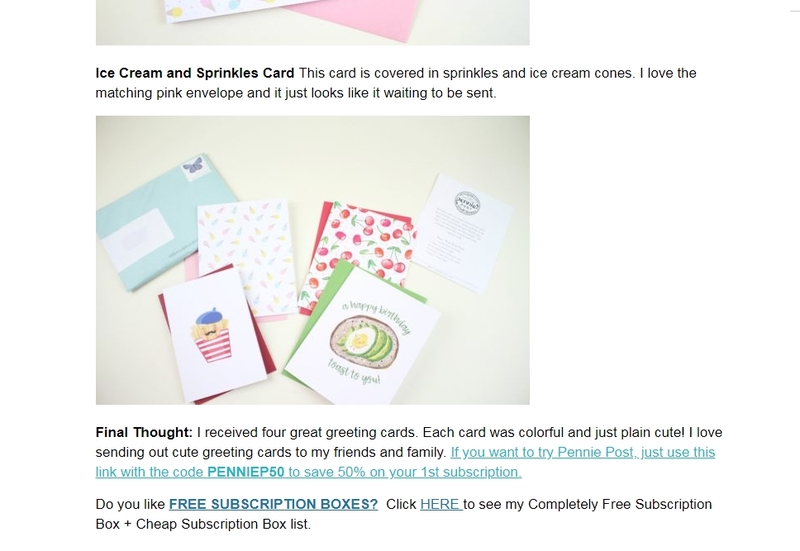 Laura DeLuca Take 50% off your first subscription mailing. 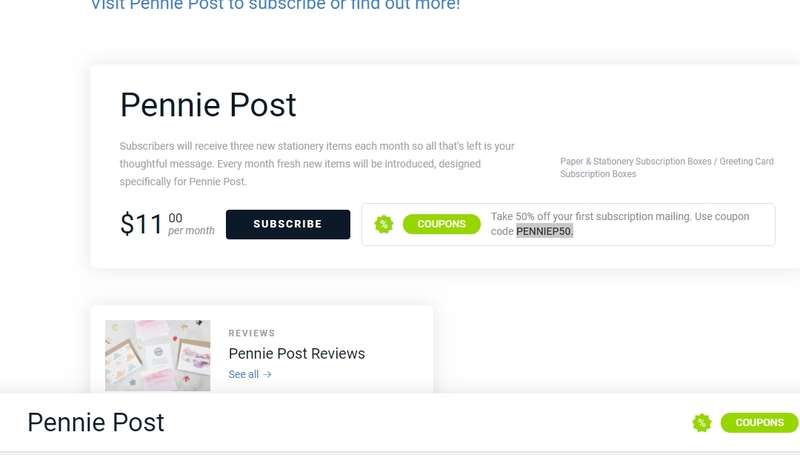 Use coupon code PENNIEP50. Just enter the code at checkout to get this deal.